Just when we thought we’d seen everything, Horus Vision has teamed up with 5.11 to create a wristwatch with a built-in ballistics calculator. 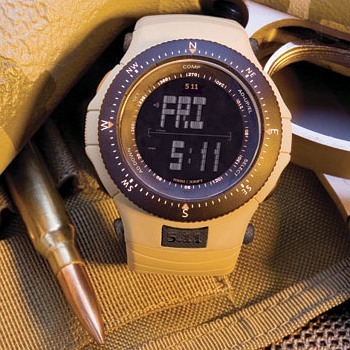 Priced at $199.95, the 5.11 Ballistics Field Watch incorporates the Horus Vision SureShot™ ballistic calculator, plus a digital compass to indicate direction and degree. The watch has a molded polycarbonate body, offered in three color choices: black, olive drab, and coyote tan. Equipped with a backlight for night use, the 5.11 Field Watch also features dual time zones, a stopwatch, a countdown timer, and alarm. The ballistics functions are fairly complete. Using the four control buttons you can input temp, scope height (above bore), altitude, zero range, target distance, inclination (up/down angle), wind speed, wind direction, bullet BC (Ballistic Coefficient), and Muzzle Velocity. Then the watch will calculate your elevation and windage correction in either Mils or MOA-fraction clicks. It’s amazing that Horus packed all these features into a normal-sized watch. CLICK HERE for Interactive Watch Demo. NOTE: This online product demo is very cool. By clicking the buttons on an interactive watch mock-up, you can test all the functions and see how to input values into the Ballistics Calculator. 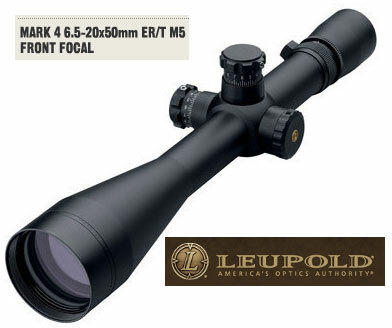 CLICK HERE for more detailed product review from DefenseReview.com. 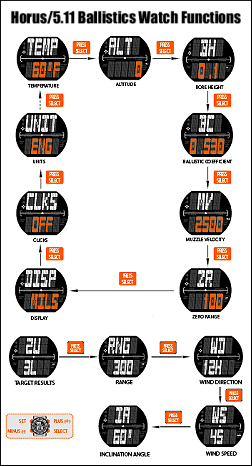 Share the post "Tactical Watch with Full-Featured Horus Ballistics Calculator"